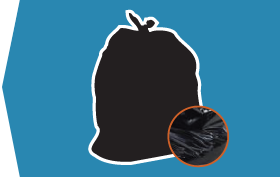 If there were such a thing as an iconic garbage bag (and we think there is) it would be the black trash bag. 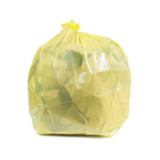 These workhorses of the garbage world come in all shapes, sizes, and thicknesses, and have almost endless applications around the home, office, and business, inside and out. 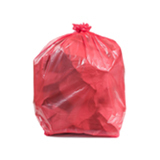 They hide unsightly trash from view and compliment chrome and stainless steel garbage cans. 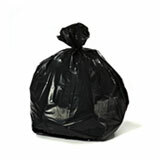 We have a huge selection of classic black garbage bags. 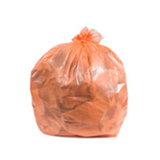 Small garbage bags, large garbage bags, and everything in between. 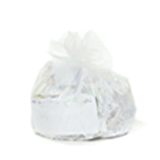 From tiny 12 to 16 gallon trash bags for use in home bathrooms and offices all the way up to the gigantic 95 gallon liners used for commercial rolling cans, we have the right size for your receptacle. (We always say that fit is everything.) 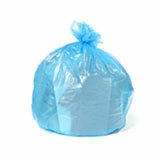 Plastic Place also offers a wide variety of materials and thicknesses. 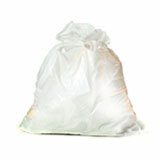 If you’re dealing with wet trash, it’s hard to beat a high-density plastic waste basket liner with a star seal. If you need a super-puncture proof bag, low-density plastic is the way to go. Whichever material you choose, remember that the higher the number of microns or mils, the thicker and stronger the bag will be. 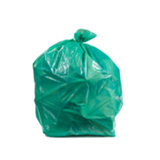 Wholesale garbage bags are a smart way to save money and time. It’s a way to cut your budget without compromising on quality: especially when you buy from Plastic Place. 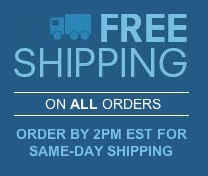 Every one of our products is backed by our 100% satisfaction guarantee. We just work harder to make sure you’re happy. 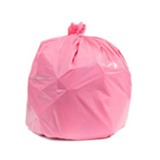 From helping you pick up the right bulk trash bags for your home to assisting corporations in choosing huge quantities of commercial garbage can liners, we’re proud of our expertise, value, and customer service.